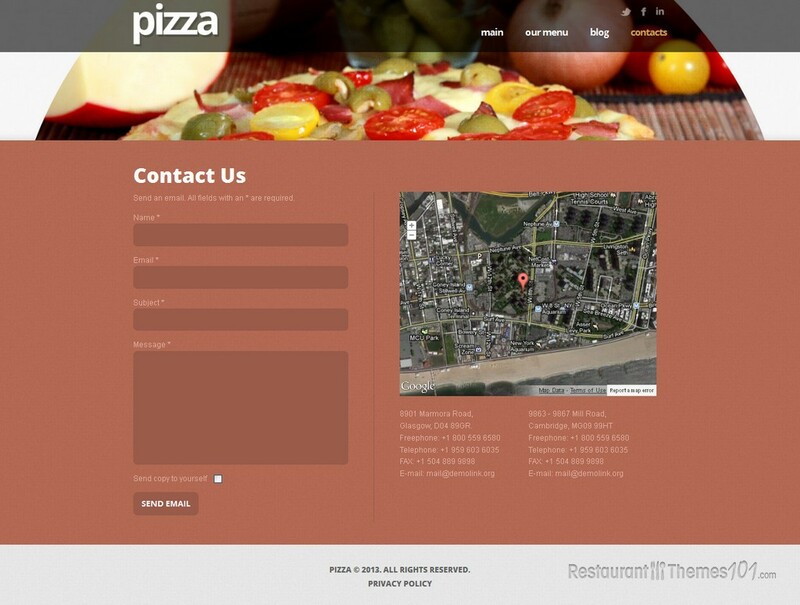 Pizza is a responsive Joomla restaurant template. Irene created it and the template is featured at Template Monster. 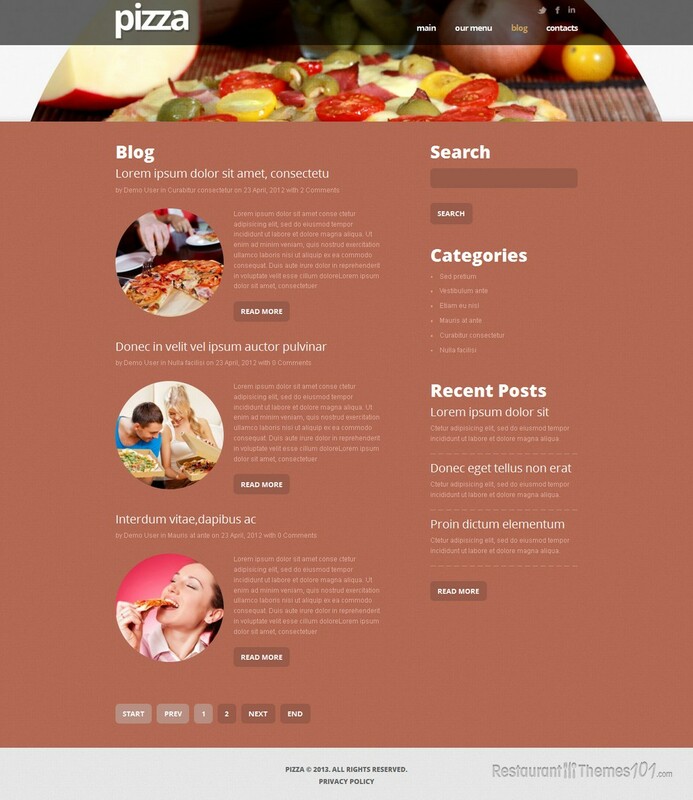 The layout of the Pizza template looks very professional and compact. Few shades of red and yellowish-brown are the colors prevailing, and they fit an Italian restaurant perfectly. There is a full width slider featured on the homepage and this is the perfect spot for showcasing quality photos of your delicacies in great style. You will be able to write a friendly welcoming post and feature it on your homepage along with a nice photo, so your visitors feel welcomed and pleasant while browsing your website, which will, of course, make them want to come visit your restaurant ASAP. You will also be able to present all of your services with nice icons and feature them on your homepage for everyone to see. Words of praise coming from existing customers are the best advertising you can get, and this template allows you to show the testimonials of your satisfied customers for everyone to see. The menu of this template looks very nice, and it is very easy to create it. The blog section is there for you to post as many posts as you want and there is a nice search form added for your guests to be able to easily find the post they are looking for. The blog comes with categories, so you can have everything nicely organized with ease. Google Maps integration is a nice feature that was added to the contact page, as well as a simple contact form, which will make it very easy for your guests to message you any time they need to. You will be able to connect your website to the most popular social networks because this template features nice social integration. 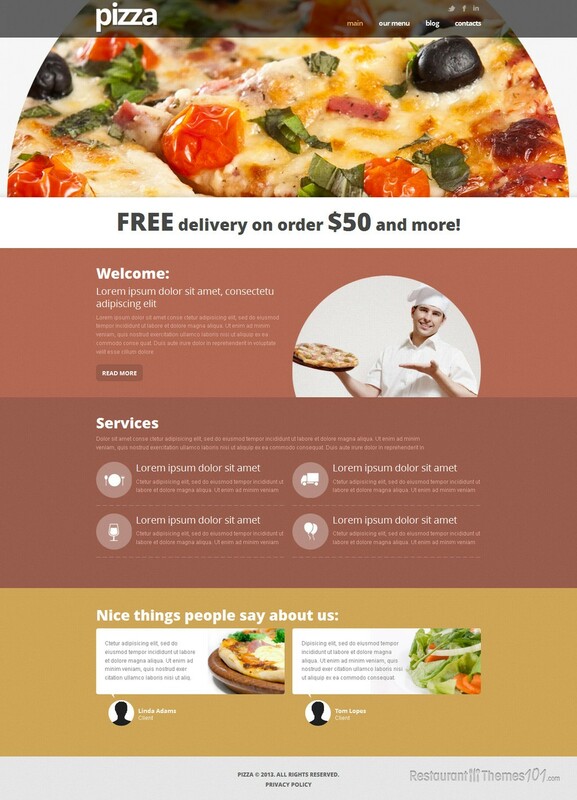 Pizza is a Joomla template for Italian restaurants with two smartphone and one tablet version of the layout available. This means your website will look great regardless of the device used for viewing. With setup and install instructions included, everyone can run and manage their website without the need of professional designers to help them.